Practice making image properties (location, color) depend on loop variables. Write a p5.js sketch that draws this picture using a for loop. Canvas is 600×400, circle width (and height, it’s a circle after all) is 100. 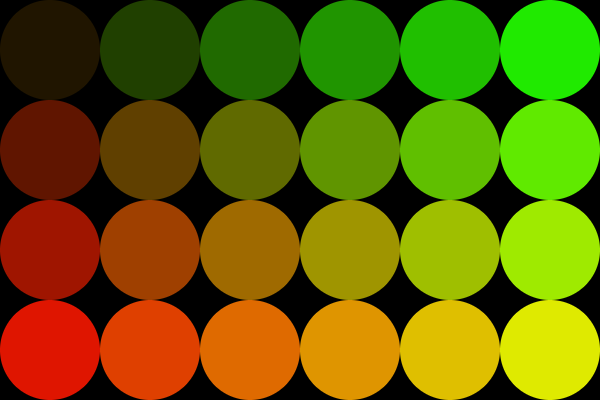 Color is roughly black at the top and 255 at the bottom, but you can see in this picture that the color is not full black at the top, in this case because the center of the circle is at 50, not 0. Modify the “starter” program to produce the image above. 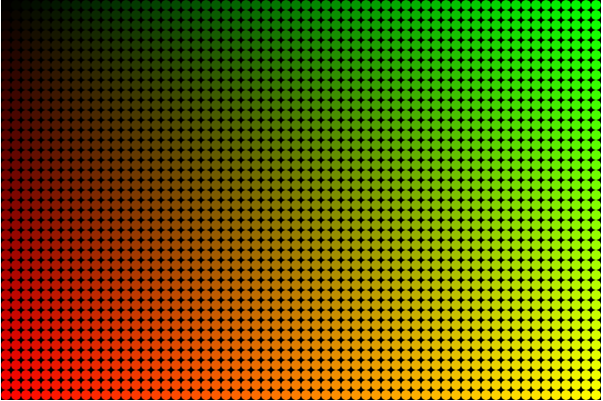 Use only multiplication, division and/or addition to compute color values from x and y. Finally, don’t forget to go back to “sketch.js” and modify your program to make the following image (circle diameter and spacing is 10). Challenge: Define a global variable (var SIZE = 10; ) and see if you can remove all “magic numbers” from the code so that changing SIZE will change the circle size and spacing. Replace “noLoop();” with “SIZE = mouseX / 10;” and see if it works! Highly recommended if you are comfortable with creating “mappings” or transformations from loop variable values to coordinates, colors, and sizes by scaling (multiplication) and shifting (addition/subtraction). Read about the map function in the p5.js reference. map, once you get the hang of it, is a very clean way to express linear mappings in that it explicitly names the range your are mapping from and the range you are mapping to. 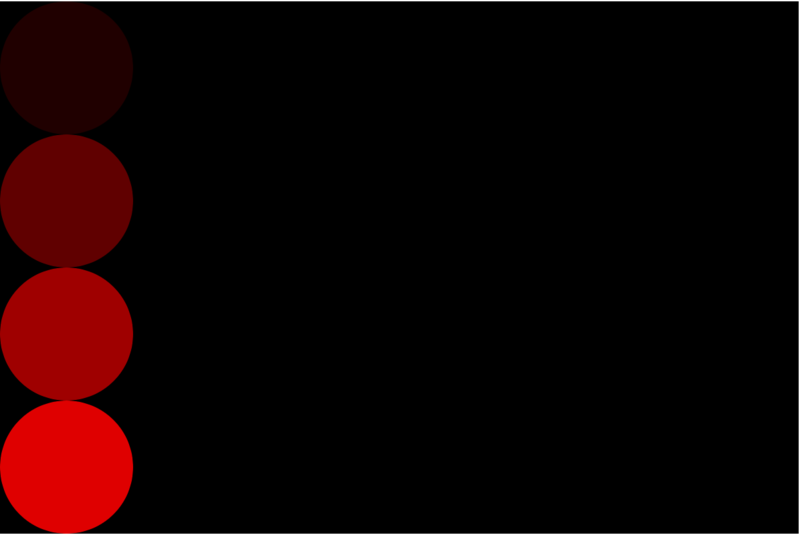 For this challenge, rewrite the first nested loop program (the color grid) with map to eliminate multiplies and adds to loop variables.